It’s been a good year for Memphis theater artist Liz Sharpe. She was tough as nails as Jackie in Hot L Baltimore and vibrantly delusional as the Valium-addicted Harper in Tony Kushner’s Angels in America. Now she’s making her directorial debut with 5 Lesbians Eating a Quiche, a new comedy by Memphian and former Playhouse on the Square intern Evan Linder, who has been making waves in Chicago’s theater scene as co-artistic director of the New Colony theater company. “I’ve got a dream cast,” Sharpe says, name-checking performers like Gail Black, Erin Shelton, and Ann Marie Hall, who Sharpe says helped her through her first time at the helm. Something sinister is lurking beneath the veneer of 1950s civility. “This is during the red scare,” Sharpe says, explaining how one of the more forward-thinking members has turned the meeting into a bomb shelter. And just in time for the big one, too. “When the bomb goes off, they all go a little crazy,” Sharpe says. 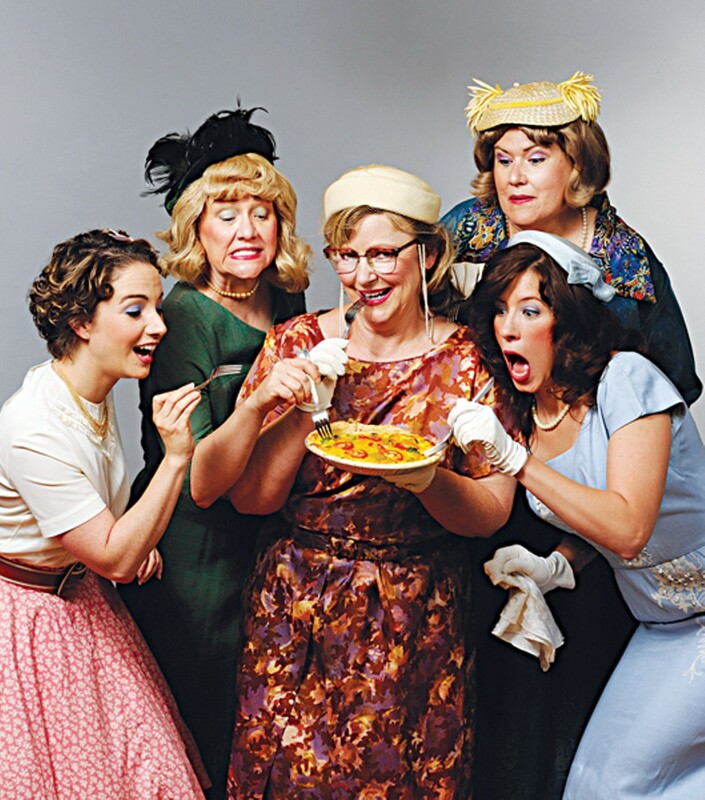 5 Lesbians Eating a Quiche fully immerses the audience in the world of the play. Everyone who attends will be given a name tag, and for that night, at least, everyone is treated like a housewife. And a lesbian. The humor is pointed and often absurd. New York Times critic Ben Brantley said the show was a guilty joy and warned that audiences might wake up the following day feeling like they’d been dancing naked with a lampshade on their heads.“That’s perfect,” Sharpe says. “5 Lesbians Eating a Quiche” at TheatreWorks July 5th-28th.